Why can't all literature be like this? The provincial Bennet family, home to five unmarried daughters, is turned upside down when a wealthy bachelor takes up a house nearby. Mr. Bingley enhances his instant popularity by hosting a ball and taking an interest in the eldest Bennet daughter, Jane. Meanwhile, Mr. Darcy, Bingley’s even wealthier friend, makes himself equally unpopular by his aloof disdain of country manners. Yet he is drawn, in spite of himself, to the spirited and intelligent Elizabeth Bennet, who proves to be his match in both wit and pride. Their sparkling repartee is a splendid performance of civilized sparring infused with unacknowledged romantic tension. What does Carolyn Seymour bring to the story that you wouldn’t experience if you just read the book? She does a great job narrating. I LOVE the min-series with Colin Firth and Jennifer Erie and Carolyn does a great job of bringing the characters to life. She does an excellent Mrs. Bennet. I can listen to this over and over again and usually fall asleep to it. I am not a huge romantic, but I do love to read. So I figured I must eventually read Pride and Prejudice. I actually enjoyed the story much more than expected. I thought it was well narrated in terms of the voice, but had an issue keeping up. With the accent and language such as it is, the narrator spoke too quickly for me to follow the story well at all times. I listened to it in the car, and read the actually book when at home. I definitely enjoyed reading it myself more. Some books are trivial and simple enough to really enjoy an audio book. For me, this wasn't one of them. 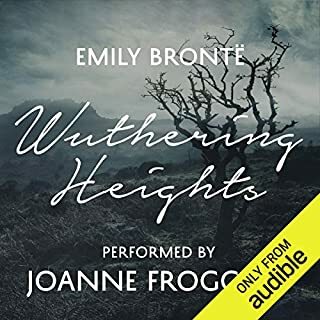 The narrator was lovely and I loved listening to this audiobook, it really helped me with completing reading assignments for school. Being able to read along with the narrator was great. As for the story, for me, it didn't really pick up until volume 3. Throughout volume 3, however, I was laughing, gasping, and almost crying. It was wonderful. I just wish the beginning of the book had been a little shorter because most things that happened had no affect in the end, but it was an okay enough story with a great and happy end. What about Carolyn Seymour’s performance did you like? Carolyn Seymour reads this in such a fashion as to echo the A&E miniseries, which I really like. 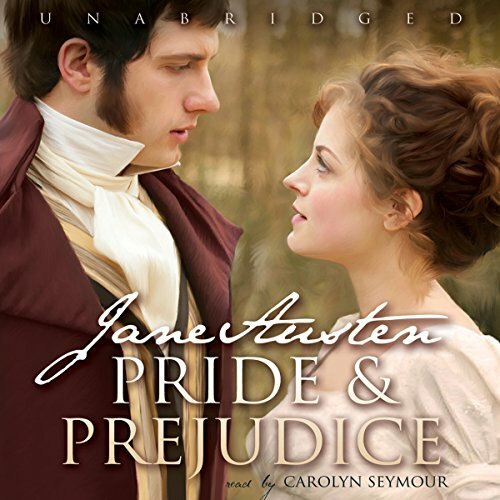 I listened to a number of narrators for Pride & Prejudice on Audible, and Ms. Seymour is the best of the bunch. This book needs to be read with inflection and determination so that the lively and the ridiculous and the obstreperous all have their presence felt. The only thing I didn't like as much was that she made Mrs. Bennett as annoying as the one in the miniseries, so sometimes it's hard to listen to such an awful woman. If you like the A&E miniseries with Colin Firth and Jennifer Ehle, you'll really like this version. The spirit of the characters really comes through with this narrator. I love the movie, and I love the book even more. When I want to read something romantic and happy, this is my go to story! I've read Pride and Prejudice many times. But the treatment of this audible book, with this narration, exceeds all previous enjoyment. The narrator's ability to make each of the characters individuals, is truly an excellent accomplishment. 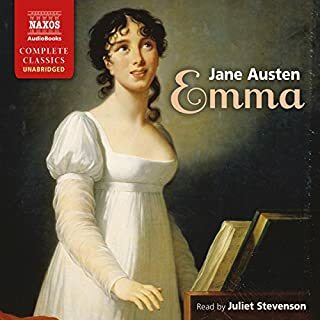 The best of Jane Austen in my opinion. I love her sarcastic humor. The story deals with real issues. Have you ever been embarrassed by a close relative? Have you "settled" because it's practical? Have you hoped beyond what seemed probable? Have you suffered for being judgmental or acting superior to others? It's all here! Makes you examine your own motives and actions. A well told story that ends like real life-happy for some and not so well for others. It shows the long term connection between choice and consequence. A classic tale-very well read. I have watched this movie several times and have always love the story. I was in a historical mood when I saw that this and purchased it without a thought, knowing I would love it. 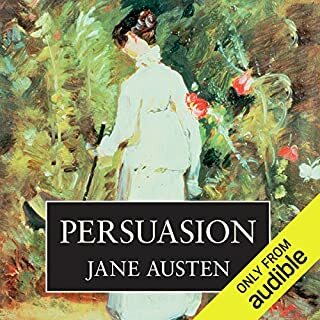 After 23 minutes of listening to this awful narrator I went back to Audible and to the other Pride and Prejudice books and found a narrator that I enjoyed and purchased this book for a second time. This will teach me not to purchase a book without listening to the narrator sample first. It was like listing to someone run their nails up and down a chalkboard that had voice. Makes me cringe even now to think about it. It's my go-to when nothing else is catching my interest. Narration is great! Character voices remind me of the movie version with Colin Firth. Perfect! I finished it in three days it would've been one if time allowed me, amazing!!!!! Quite wonderful narration brings the book to life. On a par with the BBC TV dramatisation. Builds into a tour de force. This is of course excellent literature, just not for me! 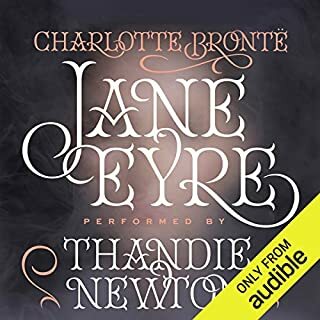 I have had this audiobook for a while and thought I would listen during my 3 hour round trip commute into London today, to give myself sufficient time to truly get into it. I simply don’t love the stories. Not gritty enough for my tastes. I appreciate she was a brilliant writer and well ahead of her time. Too fluffy for me; Classic intelligent chic lit. Doesn’t float my boat unfortunately. I've always loved this story. 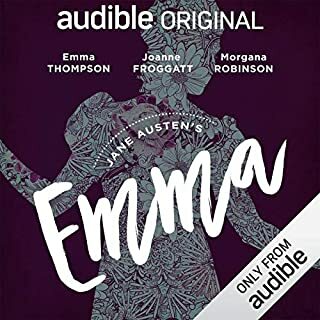 But this audiobook was far better than others I have listened to before. I choose to listen to this story over reading it and found that I was swept away and loved every part. The narrator have each character an extra depth, which I found to make this a great listen. Well read, but I fail to understand why it is such a popular book! Enjoy revisiting the lives of Lizzy and Jane and their family. A great yearly read.